What winter holiday scams are the most frequent? Christmas period and winter holidays are the best time of the year probably for all of us, including scammers. As the number of online shoppers increasingly grows, cyber criminals invent new scam techniques very creatively and improve the old ones in a very tricky manner. To increase financial profit, they develop fake Christmas-themed offers, which, of course, are catchy due to the huge discounts and other useful offers. The problem is that online scam becomes more and more difficult to distinguish from the genuine ads and real offers, which is a big deal. As a consequence, the numbers of online scam victims has increased more than 30% over the past two years, and it’s expected that this season may boost this percentage. 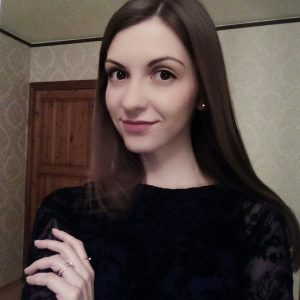 Therefore, we’ve decided to write a post on Christmas-themed scams and summarize what techniques are most frequently used by scammers. Christmas is about being happy and making others to be happy, isn’t it? That’s why lots of people are seeing to earn Karma Points by donating to various charitable organizations. Having this in mind, scammers develop fake emails that appear to be from popular organizations, such as children’s house, animal shelter, the church groups, etc. Usually, these letters include the link to the “official website” of the organization. While sometimes the link may redirect to the well-developed web page, usually they contain a malicious link, which once clicked install a malicious program, such as ransomware or keylogger, on the system. That’s why security experts DO NOT recommend opening email attachments or clicking on the links inside them. Another way to trick people is related to financial services. How do you imagine Christmas and the whole winter holiday period with your bank account blocked? Indeed, that would be a miserable experience. Therefore, scammers have invented a way to swindle people’s credit card details by sending them fictitious email letters claiming that they have to confirm bank account information. Naturally, such email messages are supposedly send by banking service providers. On top of that, to intimidate people, it may be said that someone has been logged on to people’s accounts suspiciously and that they at the risk of losing personal information. To prevent this from happening, the account information has to be confirmed. In this particular case, you should call for your banking service provider directly and ask if such incident has actually been registered. Otherwise, report the email message as scam and scan the system with a professional anti-malware. Pop-up and banner advertisements are everywhere on the Internet. Unfortunately, but not all ads are secure. 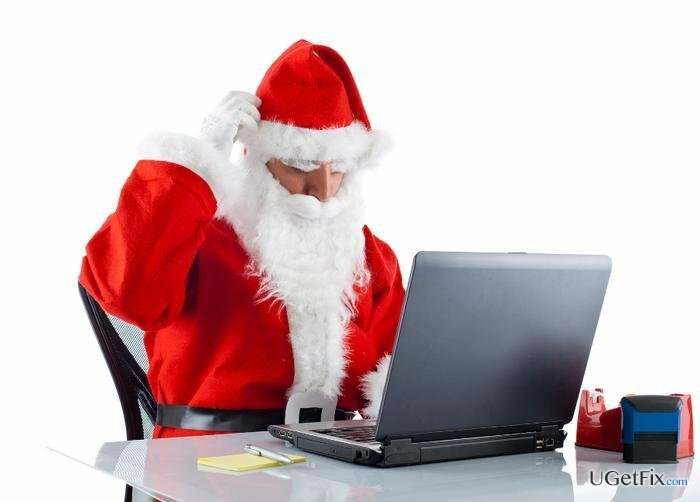 According to various surveys, Christmas themed ads helped scammers to earn millions of dollars either by spreading malware or promoting fake online shopping websites. In case of malware infection, the amount of ads start increasing on a daily basis and it becomes so prominent that something is wrong that people decide to check their PCs with antivirus sooner or later. The matters go worse when people get redirected to bogus online shops. Usually, they contain catchy deals and the biggest discounts available on the Internet. That’s why many people get caught buying things from sites that belong to scammers. In this case, people not only lose money for the non-existent item, but also reveal credit card detail, which is why they bank accounts may also be swept out. To prevent this from happening, it’s advisable to install a professional anti-malware and keep it up-to-date. Besides, do not trust unknown online shops, especially the ones that you are redirected to unexpectedly. You’d better stick to the well-known online shops that have a security certificates. Free Santa music downloads, and similar. Again, to prevent malicious/suspicious programs on the system, you should take care of your PC’s security by installing a professional anti-malware and avoid downloads from the third-party websites, especially those spreading things for free. This type of Christmas scam is the most popular on Facebook. People receive a friend request. If the user agrees to have a new friend, he or she might receive a message soon, which may contain some greetings and a link to some “useful” website or a link on its own. DO NOT trust such a link because that’s yet another way to spread malicious programs, such as Locky virus. All in all, winter holiday season is not only about good things. Bad guys invent various ways to spoil the most beautiful period of the year, so it’s very important to be careful while browsing on the Internet and check all websites, email messages, online shops, etc. twice. Besides, we would highly recommend installing a reputable software that would stand up for your PC’s safety. Our recommendation is Reimage. This entry was posted on 2016-12-01 at 01:09 and is filed under News.